Fishermans Bay foreshore close to Anna Bay and Nelson Bay on the north coast, is a great spot for family picnics, swimming, kayaking, rockpool walks or whale watching. When using the boat ramp please be aware that you cannot leave your vehicle on the beach. 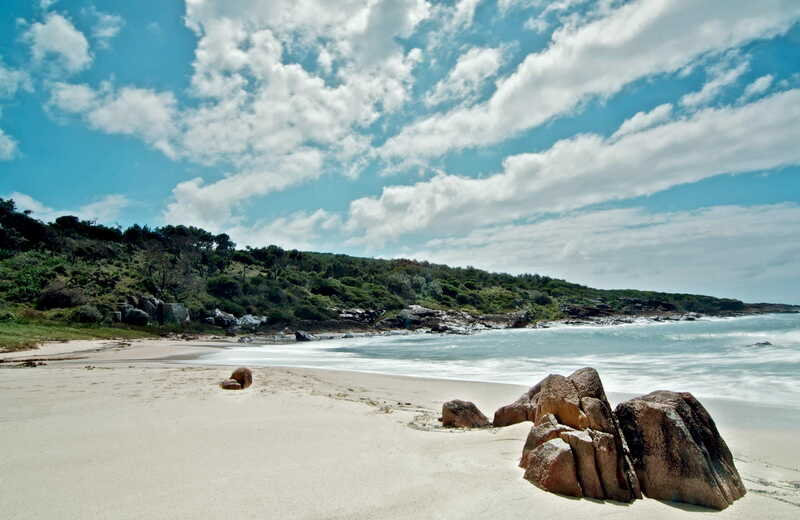 At times it can be difficult to access the boat ramp if the beach is busy with people – try the beach boat ramp at Boat Harbour as an alternative. 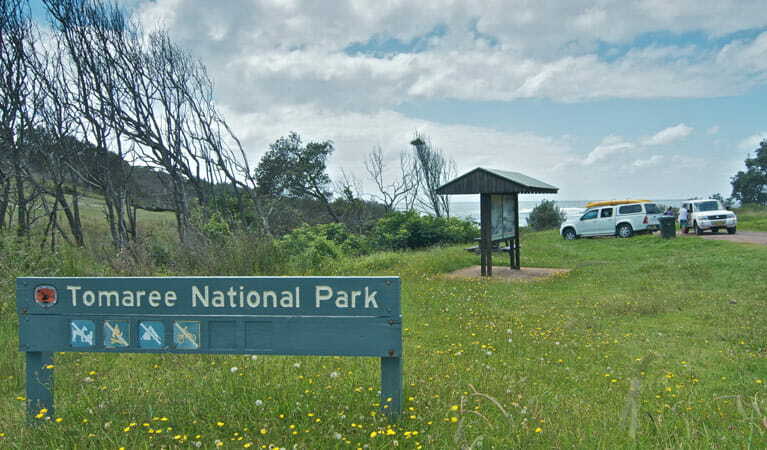 Fishermans Bay foreshore in Tomaree National Park is a wonderful place for a family day out by the sea. Featuring a lovely, secluded beach, it’s a great area for swimming and snorkelling on a sunny day. If you’re there between May and October it’s a good spot to watch whales on their annual migration along the north coast. If you’re looking to go boating or kayaking for the day, you can launch your vessel from the small boat ramp here. And you’ll be able to find out more about the area at the information bay. If you’re there at low tide, you could head out on an exploration – you never know what exotic sea creatures you may see.